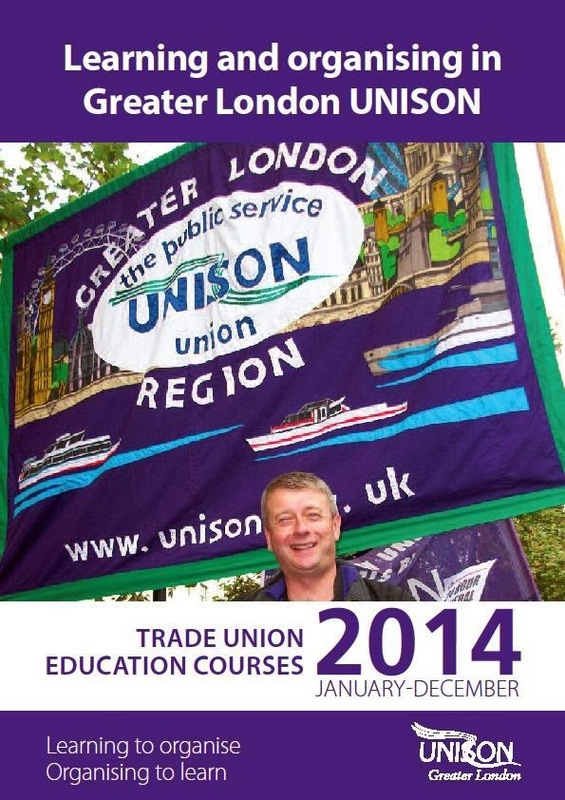 UNISON Branches in London Region should have got plenty of hard copies of the latest guide to our trade union courses for 2014. You can also access it at our website here. There is a wide range of great courses for new and old activists alike held in local collages across the region. I need myself to book one of the 2 day "Stewards Refresher Course" (which is a Employment Rights Act requirement) since it is over 5 years (and the rest) since I did my last steward training. (The front cover of the guide above has nothing to do with my recent decision to get fit and lose weight by entering the London Triathlon. Honest Guv).